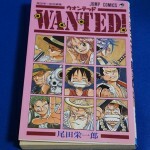 This short story was a prototype for One Piece. 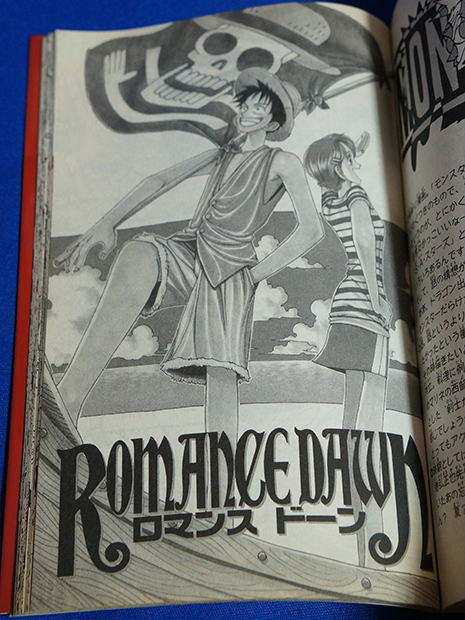 The story titled “Romance Dawn” was included in “WANTED!” a collection of short stories, and before that in the Summer Special Edition of Shonen Jump in 1996 (this was later included in the One Piece Red collection). 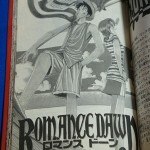 Each version of “Romance Dawn” was set differently from the One Piece story, in a different world, however the scene where the main character, Luffy eats the fruit that gives special abilities and becomes a rubber human was kept the same in both stories. 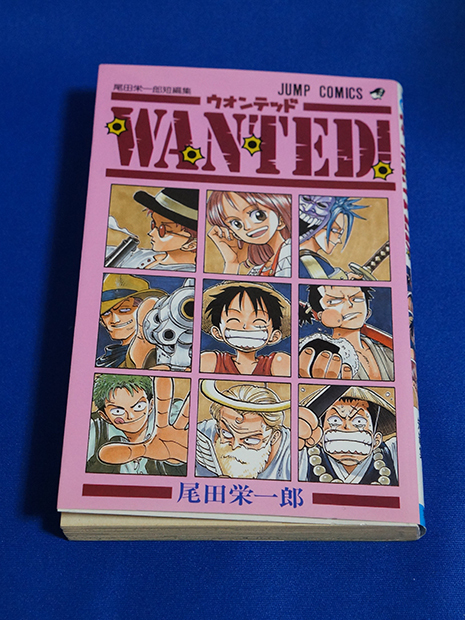 The ‘WANTED!’ version of was included in the 1996 vol 41 edition. 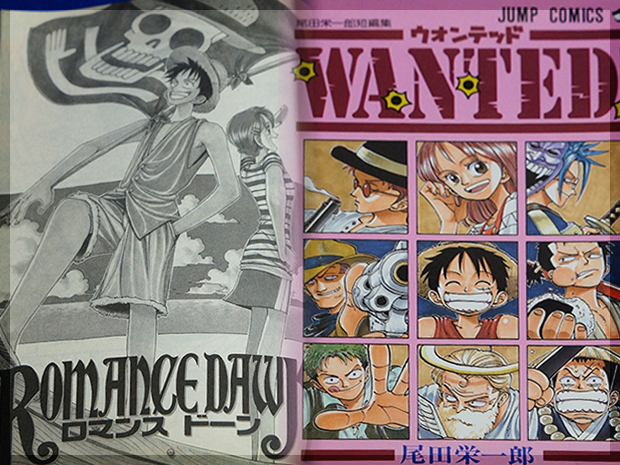 Oda sensei was at the time working as an assistant on the “Rurounin Kenshin – Meiji Kenkyaku Romantan” manga.